After a morning massage (I wasn’t about to let Carol one-up me with hers, yesterday), I meet Carol for breakfast, a new (or at least less achy) man. 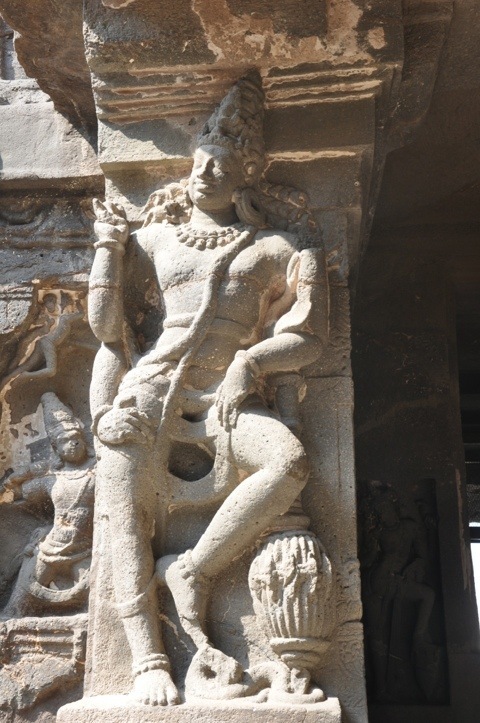 We’re picked up and set out from Aurangabad to the caves at Ellora. Now a city of two million, for 25 years, starting in the late 17th century, Aurangabad was established by Aurangzeb as capital of the whole mogul territory he conquered, that stretched from Kabul to Rangoon. Aurangzeb was the mightiest of the mogul emperors, and son of the builder of the Taj Mahal, Shah Jeham. Shah Jeham, which means, ruler of the universe, had intended that his older son succeed him. Aurangzeb begged to differ with Daddy, and fought and killed his older brother, then imprisoned his father in the fort at Agra. Aurangzeb ruled for 49 years, until 1707. He was buried, at his wish, among tombs of holy men in a plain tomb. After him, weak moguls ruled and were divided by the East India Company. The mogul rebellion in 1856 was squashed quickly and brutally by the East India Company. An angry Queen Victoria took over and put it under British rule, where it remained until indpendence in 1947. En route to Ellora, we drive by a large, old English military garrison in Aurangabard, still used as such by the Indian army, and then past one of the gates of the city (there used to be 52, but most have been destroyed). Twenty or thirty minutes later we pass a 12th century fort, some of the walls of which are still there. The landscape is hilly with some hilltop plateaus. 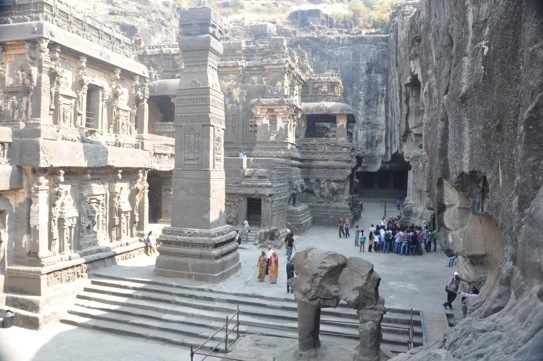 Arriving at Ellora (about a 45-minute drive), we visit the Buddhist, Jain and Hindu caves. (The thirty caves at Ajanta are all Buddhist.) Dating between 600 and 1100 AD, the caves lie along an ancient trading route and are thought to be the work of priests and pilgrims who used this route. 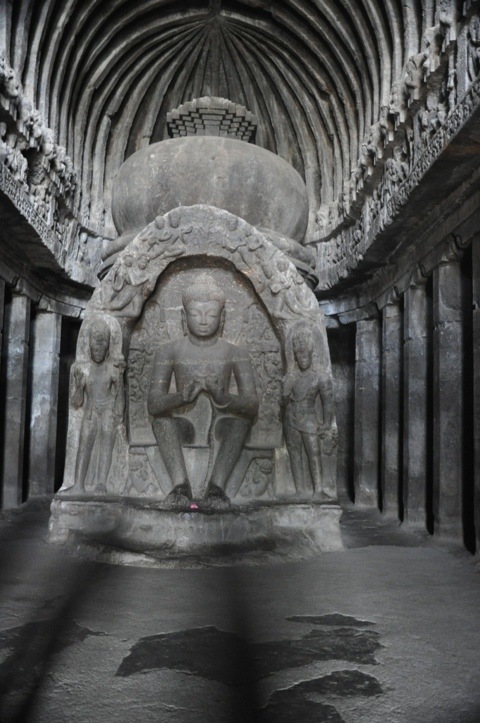 Though the caves at Ajanta were “lost” for a thousand years and covered by dense vegetation, before being discovered in 1819 by John Smith, the Ellora caves remained in view and, hence, we’re subjected to vandalism and the elements Twelve of the 34 caves are Buddhist created between 600-800 AD; seventen are Hindu and date between 600-900 AD; and five of the caves are Jain, carved between 800-1100 AD. domain ip . Begun in 750 AD, Kailasnatha took 150 years to complete. The temple is carved out of 85,000 cubic meters of rock and required that 300,000 tons of rock be removed. Not to get too technical, it’s pretty friggin’ amazing. After Kailasnatha, everything else is bound to be anticlimactic, and it is. The Buddhist temple, which is carved out of stone from front to back, and top to bottom, as were all of the Ajanta temples and monasteries is excellent, but nothing we haven’t seen at Ajanta. The Jain temple is interesting because of its depiction of Jain figures and because it combines elements of the Hindu and Buddhist, being partially constructed from the top down, creating a building open to the air in front, and the rest carved into the rock in the manner of Buddhist caves. 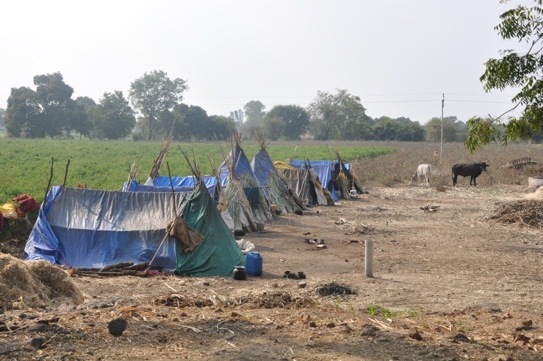 On the road to and from Ellora, we experience more of the contradictions that are India. The landscape abutting the road is strewn with garbage throughout, migrant settlements dot the fields, yet women walk along the road, or ride on the back of motorcycles, dressed in beautiful, colorful saris. Driving seems suicidal, though we pass a stand built for police to direct traffic with three signs, “Wear Helmets” “Fasten Seat Belts” and “Avoid Sound Pollution”, all of which are uniformly ignored, along with any traffic rules that may exist. The only safe thing on the road is a cow. “Keep Our Containment Clean and Green” reads a banner strung across the road. Ali has been a very good guide. Very knowledgable about a wide range of subjects, ranging from history to archeology to religion to culture to agriculture and local customs. Interesting fellow, too, planning to go on for a PhD in politics. Lacks the warmth of some guides we’ve had, and speaks very fast, and so sometimes a bit tough to understand, but, overall, quite excellent. So, is it worth two days out of your vacation to go see a bunch of caves? You betcha. We’re now en route to Mumbai, where we’ll change planes for Chennai and head to the hotel, where we’ll meet the Sugarmans for breakfast tomorrow. I must admit that this blogging is fun, if a bit time consuming. It compels you to digest and reflect upon what you are seeing and doing. It’s been gratifying getting some very kind notes from people in different cities and countries saying that they were enjoying the effort. I really enjoyed reading this, it was very interesting. I am looking forward to your next entry. That is interesting that they even came up with the idea to start from the top and go down. It’s amazing how those rock ruins survive so much. Have you met any villagers yet? How are you traveling? by motorcycle or car or foot? Well, I am glad you’re having fun! It must be quite a jolt to go from the ruins to the migrant settlements! Thanks for capturing it for us.